Over the last 10 months I’ve played 22/100 top public courses, 11/100 top 100, and 7/100 of the top courses in the world. How do you compare a course sitting atop an ocean cliff to a parkland course that’s hosted majors to a course in the high desert? It’s extremely difficult, there are things I like about just about every course I play. Yes, I said Trails. My favorite course, is the one that’s often overlooked or skipped on weekend trips. The one that in both Golf Digest and Golf Magazine rankings is a distant 4th to the other courses at Bandon. I loved it the first time I played, and I declared it my favorite course at the resort – but I wasn’t quite ready to name it my all time favorite. This changed after this past trip. I found myself looking forward to every single hole. The risk reward opportunities are numerous, and like all the courses at Bandon, there’s no one “right way” to play any given hole. It’s so easy for it to get overlooked because when it was built, the property already had two of the best courses in the world – and this one didn’t have the benefit of an ocean front view. However, I think it’s the lack of ocean that makes Trails so unique – it’s unlike any course I’ve ever played. One of the major concerns Coore and Crenshaw had when designing the course was how do we take three distinct environments (dunes, meadow, forest) and make it feel cohesive. It’s these three environments that add interest to the course, and make it so exciting to play. I was sitting on the 10th tee, which is high up in the forest, away from the beach just looking out at the fairway thinking – now this is unique. It’s forest, but with very wide fairways -rarely are you ever in danger of losing a ball to the trees. It has the same blowout bunkers as the other three courses. You feel like you’re at a coastal course, but you look around and you’re in a forest – it’s a surreal experience. The wide fairways, dramatic bunkers and sheer acreage of the course make you feel a sense of grandeur that I rarely feel on a golf course – even on very highly rated courses. 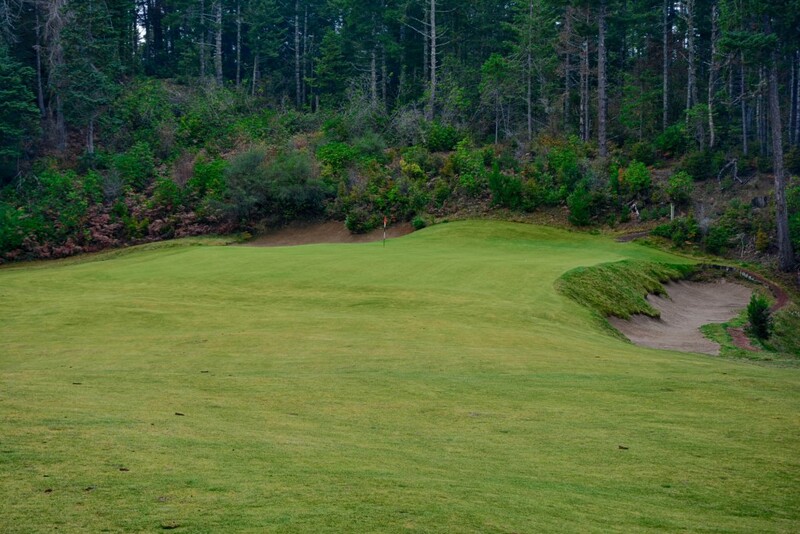 Bandon Trails gets extremely high ratings for shot value in my book – quite simply, it’s fun. You’re forced to think, do I go for this in two? Do I try and clear that bunker for a better line at the green? Can I play it off that big mound and have the ball roll back down to the pin? Should I putt this from 50 yards out? These are all things I had to think about in one round at Trails – and next time I’ll probably say them all again, on different holes, as the wind plays a huge factor in how each hole plays. Fees: $75-295 depending on time of year. All distances from Green Tees, as those are the most commonly played (and where I’ve always played). Click on any image for a larger photo and slideshow. Walking out to the first tee you feel like you’re about to embark on adventure. You see the ocean in the distance, but you aren’t sure exactly how or if that will be playing into your round. As you step up to the first tee, which I think is the best first hole at Bandon you’re met with an imposing scene. It’s not an overly hard hole, which allows you to make a mistake or two and still have a shot at par. 1 on Trails is a mid-range par 4, dogleg left. Driver isn’t necessary off the tee, but you’ve got a little room right if you happen to slice it. The green is elevated, with a putting surface that is flat enough to let you get your bearings. Every time I’ve played Trails inevitably as people walk off 1 green to #2 tee the reaction is the same: “oh, wow”. 2 is a longish par 3 that plays down hill with beach grass to the right and directly below you and forest off to the left. This signifies you leaving the dunes as you head into the first of the meadow holes. You have much more room short than it looks from the tee, but if there’s a back pin position you’ll definitely need to give it a good pop to get it there. If you’re going to miss, miss short and left, as anything right is either in the tall grass or in a tricky greenside bunker – that took the guy we were paired with 3 shots to get out of. As you make the short walk to the third tee, which is a mid length par 5, once again, you’re met with reactions of “whoa”. Scattered bunkers, wide fairway, tall trees to the right – minus the elevation changes, this is what the Trails course is all about. You’ve got a big waste area to clear that isn’t an issue with a straight shot, but if you slice and aren’t the biggest hitter you may well find yourself in it. The bunker in the center of the fairway is a good spot to aim, and this is definitely a hole to pull out your yardage guide. There are three bunkers in the middle of the fairway, that should pretty easily be avoided, but if you aren’t sure of your yardages, your dead straight three wood bomb on your second shot could leave you unhappy. I love this hole, but if you haven’t played it, it can be a bit tricky. There’s a giant ridge that runs left to right through the hole. If you keep your drive left you should be able to clear the ridge and have a clear shot at the green on your approach – but it will be longer. If you aim more right, you might not clear the ridge, which leaves you with a shorter, yet blind approach on the green. I bombed one right that got within feet of the top of the ridge, only to roll back down to a collection area leaving me with a blind 8 iron into the green. Quite simply a great golf hole. Easily one of, if not my favorite par 3 on the property. While it might not have ocean views, it’s no less dramatic with three very imposing bunkers short of the green. This is also the coolest green on the course. It’s two tiered, with mounds and ridges everywhere. Just because you hit this green does not mean you’re entitled to a par. I was on the lower level left, and the pin was upper right. I knew I had to get it up to the second level, and there was a big backstop behind the pin so I put some power behind it. It rolls up and over the ridge, past the pin, up the back of the green and then rolls back down to the pin. It’s shots like these that make the Bandon courses so fun. I have a love hate relationship with this hole, as it’s the only hole on the course that I think is borderline unfair. In the two times I’ve played the course I’ve hit two great drives. You see the problem is, behind a ridge off the tee is a bunker smack in the middle of the fairway that well hit balls feed into. Sure enough, we can guess who ended up in it. Bunkers to the left and back of the green are waiting to swallow up missed shots, so if you’re nervous or want to lay up, short and right is the play. This hole looks like a beast when you first walk up to it, and quite frankly, it is. A long par 4 straight uphill, prepare swing away on this one. The fairway bunker on the left is out of play for everything but the most well hit drive, and that’s the side of the fairway you want to be on for the best approach. Take extra club getting up to the green, the penalty is much worse for being short than being long. At this point you get to be the judge of how your round is going in that you can take the fun shot or the safe shot. This is a short, drivable par 4, but anything other than straight will be pretty severely punished. We’re in the heart of the forest section of the course on #9, a good length par 5. This is another great time to check the yardage book, or listen to your caddy as the bunker on the left off the tee, and the right can play tricks with your eyes. The left bunker seemed like it would be easy to clear, but a slightly mishit shot made it much closer than I would have expected. Your second and third shots here are also one of the only real opportunities on the course to lose a ball to the woods – especially the second shot if you slice a wood. Green is pretty receptive with more room in back than it looks. 10 is a long par 4 that has one of the widest fairways on the course. Just be careful, the further right you go, the longer the hole gets, and the greater the chance of you having to clear the massive bunker on the right hand side that’s protecting the green. This is another one of my favorites on the course. The sweeping dogleg right thats even longer than the 10th, has a fairway that will force all balls right. This is hole is unique in that it’s the only hole at Bandon with a water hazard that comes into play. You’re going to have a relatively lengthy approach no matter where you are. Aim left side of the fairway for a straight mid to long iron in, and if you find yourself in the right bunkers, a layup in front of the greenside bunker may well be your best play. This is a doozy of a par 3. It’s not overly hard from a hazard perspective, as it’s main defense is it’s length. My buddy I was with was complaining he thought it was unfair to have a hole this long from the green tees. In between 12 and 13 is another spot where you just really feel a sense of grandeur with the course. There’s a giant grass field between the two holes that just screams for spectators – although there probably will never be any. At this point you’re way up in the forest, a far cry from the cliffs of Pacific and can’t help but feel a little elated at where you are. I’ve had these moments on every course at Bandon – but it seems to happen most often on Trails. Aim towards the left fairway bunker. If you’re not overly long, you have plenty of room to the right due to the aforementioned field, but it will give you a much worse angle at the green. This is one of the toughest approaches on the course. The green is elevated, and slopes off on the left, and to the right you’re faced with trees and a nasty bunker running the length of the green. Do yourself a favor and just hit this green. Just when you think Trails can’t have any more surprises, you walk off #13 through the trees and are met by…a golf cart? Yep from 13 to 14 you have a short traverse way up the hill, to the highest point on the course – and easily the best view. I’ve heard that it was near where the 14th tee sits is where Mike Keiser first decided he was going to buy the property for the resort. 14 feels more like something you’d find at Wolf Creek than Bandon. A short par 4 that plays straight downhill – this is the most fun tee shot of the round. The fairway slopes severely to the right, and if the wind is up, like it was during my last round, this is a really tricky shot. We had the wind in our face, and a few well hit balls didn’t even clear the foliage, while others made it to the fairway only to roll back down to the collection area between 14 and 15 fairway. You’ll have a steep uphill approach, and if you remember one thing here, just make sure you get it to the green. Anything less, and you may be even worse off than you started. It starts with a decision. Driver or wood? We had the wind at our backs, so the cross bunker in the fairway was very much in play. I was going to go driver, but the first guy stepped up and dropped it right in. I left it 15 feet in front of the trap, for the perfect approach position. The farther left you are, the easier the approach is. 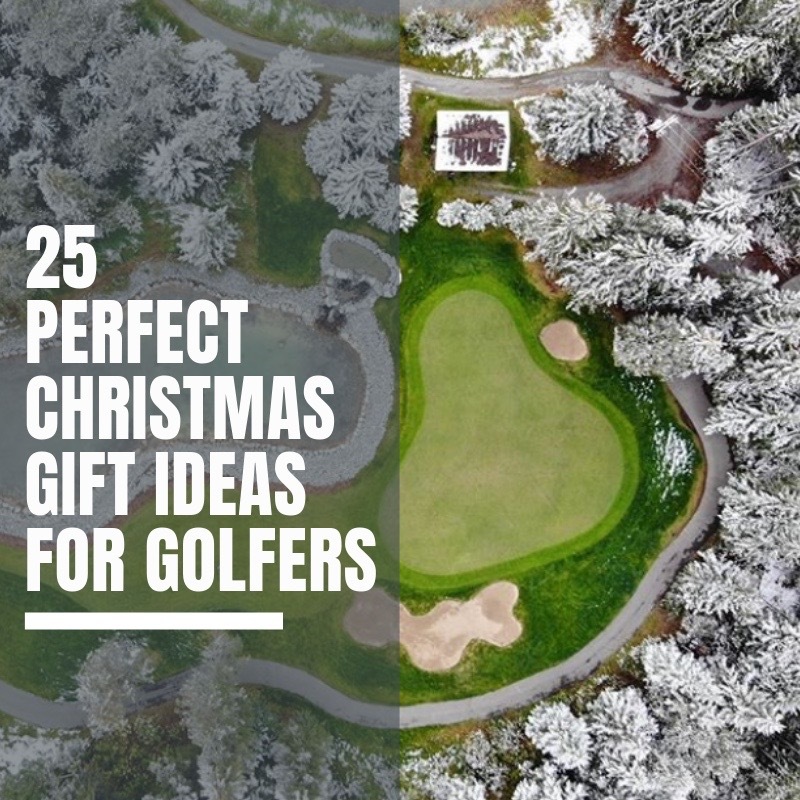 You’ll have more green to work with and won’t have to clear a greenside bunker. Once I walked up to my second shot, I again looked at the green and thought “man, this is cool.” One of my favorite green complexes on the course. When you get to the tee on 16, you’re probably going to be at least a little bit intimidated. The par 5 16th hole is a big hole that plays straight uphill. In the summer, the wind is usually directly in your face making for a stout 3 shot hole. However, during my last round we had some help, and I was able to go driver, 3 wood and reach the green in two. On the drive things are going to feed to the left more than you might expect – especially if your drive is on the short side. Another favorite of the par 3s at Bandon. The 17th at Trails usually plays around 165 or so from the green tees with a cross wind that can make this a trickier hole than first meets the eye. There’s a false front that can lead you into thinking of taking less club – don’t. I’ve seen a lot of balls on this hole end up long and right, and as long as you’re not on the wrong side of the cart path, a chip and a putt for par is certainly doable. Another hole that can be dramatically different based on wind conditions. 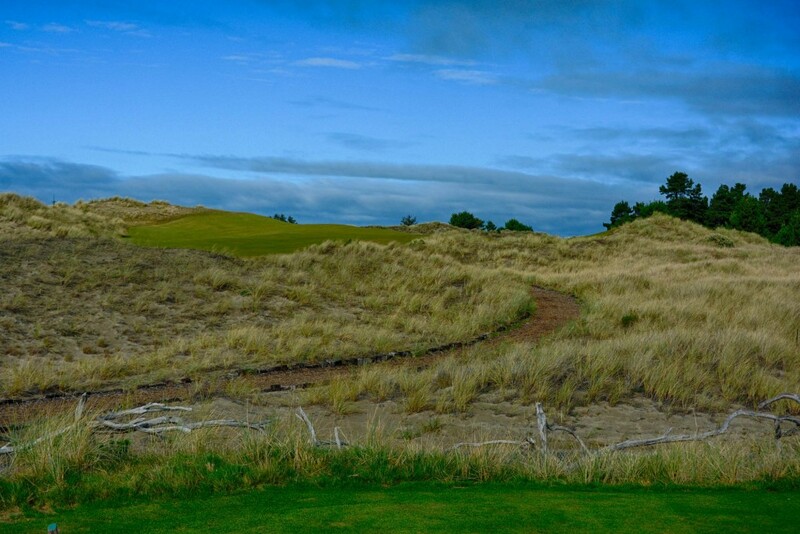 You’re heading back into the dunes on a mid length par 4 that doglegs slightly right. If you’re too far right there’s a bunker there waiting to swallow up any errant shots. But at this point, just getting the ball in play should give you a good shot at the green. It’s worth noting that if you don’t clear the ridge on your drive, you won’t get much roll and the approach becomes a much more difficult one. I truly love this course, and while I can see why it’s often overlooked in comparison to it’s sisters at Bandon, I think it’s the most underrated course in the country. It will be on my itinerary for every round I play at Bandon, and one that I plan to return to at least a couple times a year. Quite simply, it’s that good. Sean, great post and great photos! My good buddy and I went to Bandon for the second time last year and realized the same thing that you did: we liked Bandon Trails the best of the four courses. Though of course they are all great, but we enjoyed Trails more than the others. Good luck chasing down that 79, I’ve never broken 80 either and hope to do it in 2014.
perhaps because the ridge seems to block much of the wind that confronts one on the other courses, or maybe because my only two birdies of the entire trip came here, on #17(!) and then during the second round on #14(!!!!). I also agree that #11 is a marvelous hole, but disagree when you say that #6 may be borderline unfair– possibly because I was in that nasty fairway bunker only once in my two rounds (avoid it on your next trip and you may revise your opinion!) . 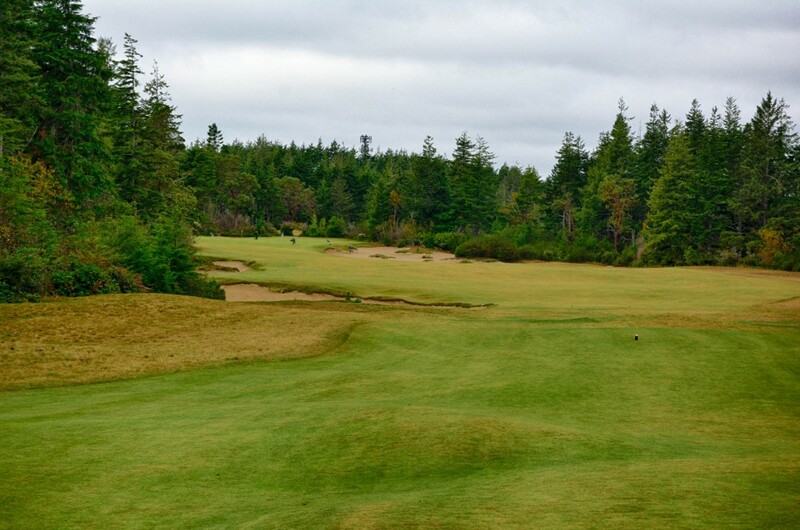 I do agree that #5 is an absolutely marvelous par 3– in fact so is #2, and as good as the par 3s at Pacific are, the set at Trails may be even better. In addition, #1 is in my opinion the best opening hole on the property, #8 is a fabulous short par 4, and #13 is awesome, even if I did end up in the huge greenside bunker BOTH times around. Rating: 5 stars out of 5!